HostGator offers a wide range of products and services at incredibly low prices in Australia. These HostGator promo codes expire soon, so don’t forget to bookmark this page now. New HostGator discount: Get up to 4,500 free websites templates along with $100 Google adwords offer with Powerful Web Hosting from HostGator and save 43%. Latest HostGator promo code: Get unlimited domain, 6GB memory and free private SSL with Business Cloud from HostGator and save up to 39% on your purchase. Limited time HostGator coupon: Get reseller hosting with 160 GB disk space and unlimited domain from HostGator for as low as $59.96 per month. Founded in October 2002, HostGator had already passed the “200,000”mark in registered domains by 2006. Their revenue reported is $34.2 million. Based out of Houston, Texas they are currently world’s largest providers of shared, reseller and VPS. Brent Oxley, the founder of HostGator has made sure that this company that once started from a dorm room with just three servers today has expanded into a recognized hosting provider with more than 12000 servers. The biggest achievement tag is when the over five million domains hosted by HostGator make up approximately 1% of world’s Internet traffic. They pride themselves in the fact that they have 400,000 customer who vouch for them and the unique selling points have always been innovative products and services. Their consumer base ranges from freelancers to Fortune 500 corporates, novices and computer technology experts that are based out of more than 200 companies. HostGator’s services is affordable, yet powerful. Inc. Magazine has also recognized HostGator as one of the fastest growing private companies of America and in that they have been ranked 21st. It is also named as 2nd fastest growing company in the “Business Services” sector. They host more than 200 employees who dedicatedly work towards achieving their mission of innovation and growth. 90% of their customer base is a satisfied one as is proven in a customer satisfaction survey made by industry researchers. You can select from a wide range of hosting such as Shared, Windows, Linux Reseller and Windows Reseller or from servers like VPS Hosting, Linux Dedicated Server or Windows Dedicated Servers or Cloud or Domains. Under Add-ons you get to select SideLock, CodeGuard, Digital Certificates and Business Email. You can register, transfer and manage domains. You can even upgrade accounts on HostGator. They have a dedicated blog which will help you identify your service areas and would also make stuff simpler for you if you are a new user. HostGator maintains servers throughout multiple geographic locations in order to provide flexibility, reliability, quality, and performance. They currently have hundreds of thousands of WordPress blogs. HostGator offers flexibility and features, and holds up quite firmly in a crowded web industry. The blog offers host of information pertaining to marketing automation, video advertising so on and so forth. In an event of your account being hacked, HostGator offers you to perform a Root Cause Analysis in which their administrators will examine logs and determine the modifications made in them. The fee associated with it is $37.50. A HostGator server makes sure that every necessary tool is included from the hosting control panel down to the application installers and website building tools. Some of the Cloud features include Integrated Caching, Intuitive Dashboard and Resource Management. Apart from that additional features include Automated Failover, Data Mirroring and cPanel. HostGator has been awarded Best Host by WordPress Hosting Review in 2012 and Best Transfer Service in 2011. It is also an awardee of FindMyHost Editor’s Choice Award 2011. HostGator has made Web Hosting very convenient by its easy control panel, 1-click script installs, 4500 free website templates, $100 google ad words offer, $100 Yahoo!/Bing credit, 99.9% Uptime guarantee, 45 days money back guarantee and 24/7 technical support for 365 days. The website offers a catchy search bar which is very convenient to locate the items you want to search for. Once you select your desired service you further have to select the configurations for the same. So basically you will have to choose a plan. The price range is given while you are selecting the plan which makes it all the more easier for you to make your choice. Once you have decided upon your plan click on “Buy Now”. Select the operating system in the drop down. Select your required billing panel as well. If you have an existing domain name enter that, else register a new domain name. Once you select it you will get an option to add it on the cart. If you want to take up any additional services then you can even click on those. You can checkout once you have done your selection. In the next step there is a tab which says “Enter a Coupon Code”. Enter the same and click on “Validate”. Once the coupon is applied the website will display the discounted total amount. Click on “Checkout Now” and make the payment. Subscribe to HostGator YouTube channel where it regularly upload video about the latest offers. Watch HostGator video to understand how to set up your HostGator web hosting. 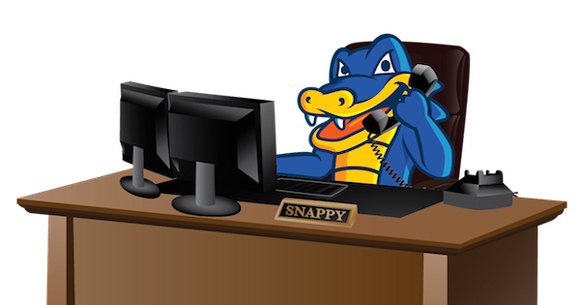 Getting customer service and assistance from HostGator is simple. There is a very comprehensive support centre on the website, which provides help and assistance with a range of issues. You can also get in touch via the useful live chat facility on the site or you can submit a ticket in order to get your query dealt with. Need a web hosting service for your business or personal website on a budget? Visit Crazy Domains and Namecheap, which provides domain names at affordable cost along with great customer support.